The average interest rate for a 30-year fixed-rate mortgage fell to 3.89 percent for the week ending December 4, Freddie Mac reported Thursday in its Primary Mortgage Market Survey. 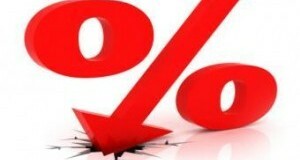 According to the company, it was the lowest average 30-year rate recorded since the end of May last year. In its Primary Mortgage Market Survey, Freddie Mac recorded the average 30-year fixed interest rate at 3.99 percent (0.5 point) for the week ending November 20, just down from an average of 4.01 percent last week. Last year at this time, the 30-year fixed-rate mortgage (FRM) averaged 4.22 percent. Freddie's Primary Mortgage Market Survey, released Thursday, shows the 30-year fixed-rate mortgage (FRM) coming in at an average interest rate of 4.01 percent (0.5 point) for the week ending November 13, just down from last week's average of 4.02 percent. Freddie Mac reported Thursday that the average interest rate for a 30-year fixed-rate mortgage (FRM) was 3.98 percent (0.5 point) for the week ending October 30. Frank Nothaft, VP and chief economist at Freddie Mac, attributed the climb in interest rates to fair news in the housing market, pointing to new home sales and ongoing increases in the S&P Case-Shiller price indices. Freddie Mac released Thursday the results of its weekly Primary Mortgage Market Survey, showing the average 30-year fixed interest rate dropping 15 basis points to 3.97 percent (0.5 point) for the week ending October 16. The week's average marks the lowest level for the 30-year fixed-rate mortgage (FRM) since the week of June 20, 2013—which also happens to be the last time it averaged below 4 percent. 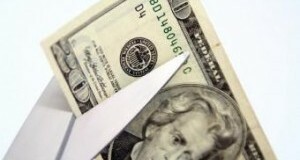 In survey findings released Tuesday, Bankrate.com reported that two-thirds of American consumers are now limiting how much they spend each month. Of those who have had to draw their purse strings tighter, 32 percent cited stagnant income as the main reason, while 29 percent said they need to save more. Sixteen percent cited worries about the economy in general. 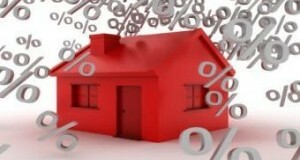 In its Primary Mortgage Market Survey for the week ending October 2, Freddie Mac reported a minor pullback in the 30-year fixed interest rate to an average 4.19 percent (0.4 point) from last week's 4.20 percent. 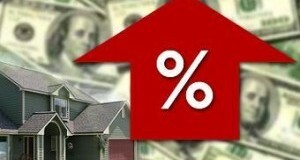 The average 30-year fixed was also little changed from last year's average rate of 4.22 percent.